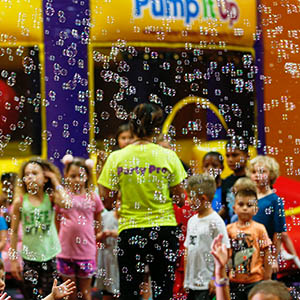 Enhance your party experience with the addition of an arena filled with Bubbles! All children love bubbles, so why not make your party Extra memorable by adding this experience that they will never forget! 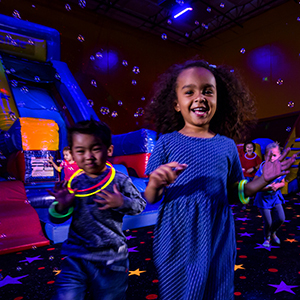 The Pump It Up of Elkridge Glow Party is an unforgettable experience that everyone will love! Featuring Special Effect Disco Lights in the first arena and Awesome Glow Black Lights in the second arena! The Glow Party includes Glow Necklaces for all of the children in the party. The Guest of Honor will receive a Glow Baton that lights up during the party! 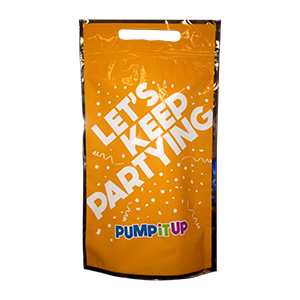 Get Ready to Turn Down the Lights and Turn Up the FUN! 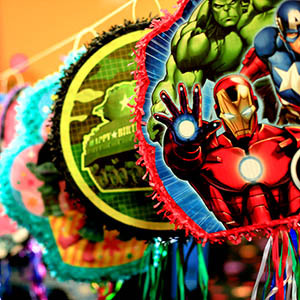 Turn up the Party Room fun by adding a Pinata to the party experience! The kids will have a blast pulling the pinata strings to release the candy treasures! Pinata themes are available based on request. Includes: Inflatable ball, rockin' thunderstick, shutter shades, hand clapper and 3-point flyer plus an Open Jump Pass for your next visit. Contents may vary. Add more character to your party, you can now personalize your party even more with our themed paper goods! Includes table cloth, plates, cups and napkins.